With the class dinner at the Royal London and the superforecast showing a lot of breeze. 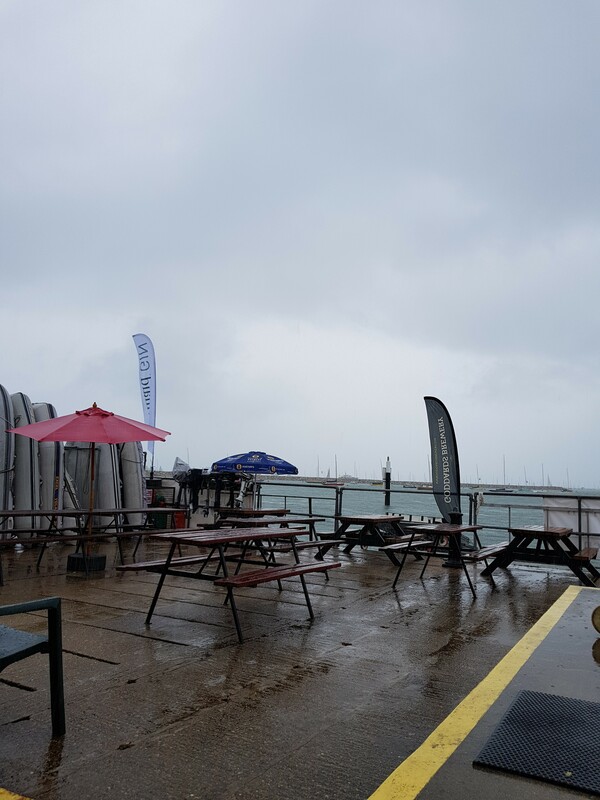 The fleet enjoyed dinner and then the usual dark and stormies at RORC. Z69 held a two point advantage over Z80, were the teams going to have a light night? Err no. We don’t play like that in the Victory class. The start time amended and bought forward then held ashore. The class skippers had a meeting about the forecast wind (Ed’s note: the superforecast was for maximum gusts of 35knots, which is pretty hairy). The skippers voted unanimously to abandon the race, a choice confirmed shortly after by the race committee who binned more white group fleets. This left Z69 as the weeks winners, Z80 two points back then Z77. Another great week, great racing, great socials, great dancing. Looking forward to next year’s battles. Thanks to the class for the friendship, rivalries, tight racing.